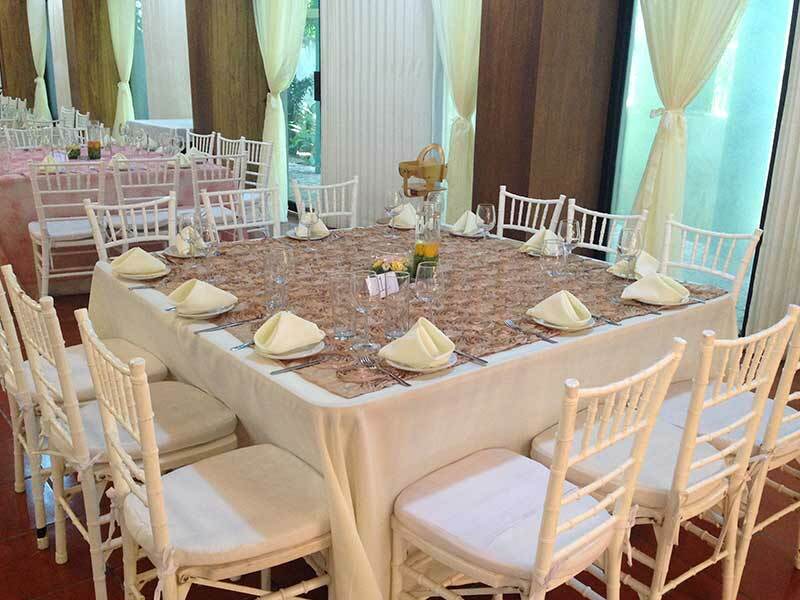 At La Ceiba Hotel in Chiapa de Corzo we have the best options for hosting events in the downtown area of the city. From a simple work meeting to weddings and big banquets, the events you arrange in our facilities will always have a touch of elegance and practicality. Guanacastle Room: A 39 x 78 feet room with capacity of 350 people in auditorium seating arrangement and 190 people in social events. Nambimbo Room: A 18 x 32 feet room with capacity of 70 people in auditorium seating arrangement and 40 people in social events. In addition to these two spaces, La Ceiba Hotel in Chiapa de Corzo has a meeting room. Every space can be equipped with a projector and audio systems, while your event can have our great quality banquet service with traditional and international specialties. To learn more about our event spaces in Chiapa de Corzo, Mexico please contact us.